Nursing is a rewarding profession, but it requires intellectual and ethical knowledge and skills to meet challenges head-on. Registered nursing is a calling to serve communities and people across their lifespans and make a difference in the world. Nursing education programs, therefore, prepares individuals to excel in this chosen profession. The Bachelor of Science in Nursing (BSN) is a four-year program that helps students navigate the complexities of health care. If you’re like most students, choosing a degree that will occupy 3 to 4 years of your life is a big decision, so it requires much thought before you commit. Confronted with the reality that a two-year associate’s degree in nursing can lead to a title as a registered nurse without the time and commitment as a BSN, what will you choose? Today, the nursing workforce is at a critical point. Soon, the decision may be out of your hands as employer expectations make a significant impact on the decisions of incoming nurses. A 2011 study revealed the startling fact that BSN graduates outpaced ADN graduates in numbers for the very first time. By 2012, 53 percent of nurses were earning the four-year degree compared to the 47 percent that opted for the two-year associate’s degree. For many decades, the diploma and associates degree were the most common points of entry to nursing as students took the shortest and least expensive route to practice. Accelerated RN-to-BSN programs provided a means for more than 50 percent to ADN graduates to later earn the BSN degree. However, the current state of health care is propelling prospective nurses to enroll in BSN programs from the onset. A strong driver of this change is the Future of Nursing Report published by the Institute of Medicine. In the report, the IOM recommends that 80 percent of nurses have, at a minimum, a baccalaureate degree by 2020. Employers are also effecting change in the education of the nursing workforce as more and more hospital employers, in a bid for Magnet status, are requiring nurses to have a BSN degree. Data released from the AACN shows that BSN graduates are more likely to receive job offers at the time of graduation, or shortly thereafter, than graduates of the associate’s degree. Six out of every 10 BSN graduates receive job offers within a month of graduating. Compare that to the job offers for ADNs, which stands at three out of every ten and you’ll understand why more students are opting for the BSN program. 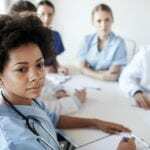 Moreover, employers define higher pay grades for BSN-prepared nurses, giving BSNs the opportunity to earn as much as 25 percent more than their ADN counterparts. BSN graduates can take their pick out of a vast array of employment opportunities. 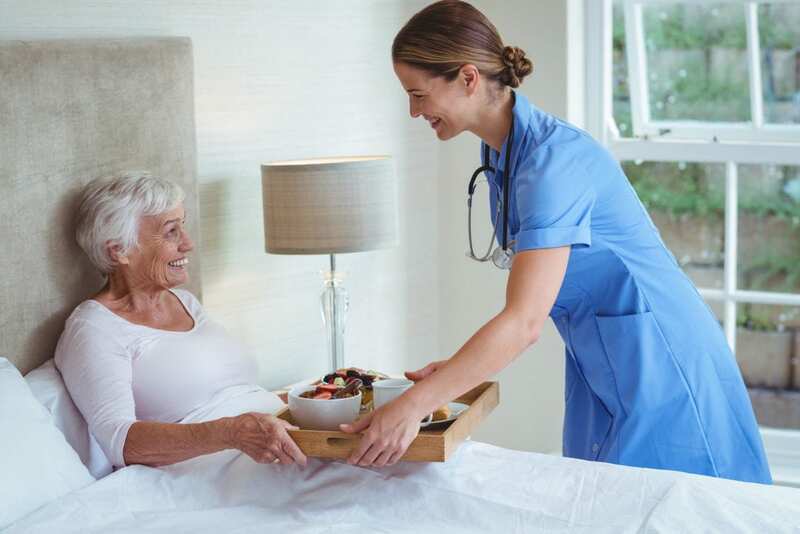 They can work in a variety of settings, both traditional and non-traditional, including hospitals, long-term care facilities, home health agencies, trauma centers, schools, hospice agencies, organizational settings, correctional facilities, and the military, to name a few. Nursing is one of the few professions that provides endlessly diverse opportunities for a lifelong and rewarding career and it all starts with the foundation of a bachelor’s degree. 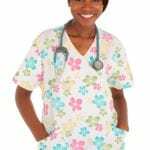 Whether you’re new to nursing or have a license to practice as a registered nurse or licensed practical nurse, the following will highlight the various points of entry for pursuing a bachelor’s degree in nursing. LPN to BSN: Do you have a diploma or certificate from an accredited licensed practical nursing program? Then, you may be eligible for advanced placement in a bachelor’s degree program if the school reviews your transcripts and applies credit for the courses you completed. Your experience as a nurse may also reduce the number of courses you’ll have to take to earn a BSN degree. RN to BSN: Accelerated RN-to-BSN programs are popular for a reason: it gives nurses who previously earned an associate’s degree an opportunity to fast-track their way to a BSN degree. If you have a diploma or associate’s degree in nursing from an accredited institute and an active license to practice, you must submit official transcripts and a copy of your license to enroll in the program and complete the requirements online and at your own convenience. Traditional BSN: New to nursing? This option takes adults through a series of courses, over a period of three to four years, to become expert practitioners of care. This four-year degree requires more time and money than a two-year nursing degree, but the efforts are worthwhile as BSNs get the best jobs and higher salaries. Initially, you’ll have to complete the preparatory math, science and general education requirements before beginning the core nursing courses and clinical practicum. Fast-track BSN: Thinking of switching careers? Studies show that nursing graduates are six times more likely to receive job offers out of school than graduates in other disciplines. This is due to a current flood of positions in healthcare, and especially nursing, as they’re needed to meet the growing healthcare needs of an aging population. Your bachelor’s degree from an accredited institution may qualify you to enroll in a fast-track BSN program and get your nursing degree in 12 to 24 months. Upon completion of the BSN program, you’ll need to apply to the Wisconsin Board of Nursing to take the NCLEX-RN to become a registered nurse in the state. Graduates of a bachelor’s degree in nursing program are capable of evaluating principles, theories, and models from nursing to apply in clinical practice and use the nursing process to care for individuals, families, and culturally diverse ethnic groups. The emphasis placed on leadership, communication and critical thinking will also empower graduates to collaborate extensively with colleges from nursing and related disciplines and critically analyze research studies to produce desirable outcomes in practice. BSNs are able to take accountability in practice and commit to life-long learning to deliver quality and safe care to patients. Your application for admission will be evaluated and a determination will be made based on your educational, experiential, personal, and health qualifications. A high school diploma – submit proof of graduation from a recognized high school or its equivalent. Background check report – Wisconsin Caregiver Background Check and Investigation Legislation requires health care students to complete a background check. If you have been convicted of specific crimes or offenses, you will not be able to complete the clinical experience or obtain employment as a registered nurse. Drug screen – drug screens prior to and during enrollment is mandatory. The use of illegal drugs will bar you from entrance. Health requirements – you must meet the general health requirements. A physical exam, documentation of immunizations, and TB testing are some requirements in this category. CPR certification – you’ll need to maintain American Heart Association – Health Care Provider certification. Personal qualifications – provide references from people who can vouch for your leadership, integrity, and motivation to succeed. The BS-BSN degree at the University of Wisconsin is one of a few second-degree programs in Wisconsin. Like many others, it affords students to the opportunity to earn a BSN in just 12 months. The course may be administered in a hybrid format with the delivery of lectures online followed by clinical rotations in your home community. The accelerated pace of the program will require a full-time commitment to succeed, which means you may have to forgo employment for the duration. An innovative curriculum, one-on-one preceptorship during the clinical experience, cutting edge technology, and rigorous coursework will help you to be well-prepared to take on the role of a professional nurse. A baccalaureate degree from an accredited college or university. If you’re enrolled in a bachelor’s program at the time of application, you must submit a defined plan to complete the degree before the program start date. A grade C on prerequisite courses – human anatomy and physiology, general biology, chemistry, and biochemistry with lab components. Tuition charges on a university’s website are published for planning purposes only. Since the information is always subject to change, you should chat extensively with the administration about your costs before making a final decision. At an average rate of $324 per credit, and based on a flat rate for full-time attendance, your average cost of completing a traditional BSN will be approximately $63,800 for tuition. Fees, books, clinical supplies, admission costs, and state registration will cost an additional $3,295.